Is it just me, or does life sometimes get EXTREMELY OVERWHELMING?! Our lives in this digital age are comprised of so many things competing for our attention at once: work projects, work social events, personal projects, family, friends, exercise, appointments… need I go on?! And sometimes you just need some help! I have found this to be even true especially in the field of evaluation. Different stakeholders, projects, and data sources compete for your attention. Here at Flux, we generate data both for ourselves and our clients at a rapid rate, and knowledge management is KEY to keep us organized and operating efficiently. Finding ways to not lose track of this data, or just make it intuitive to find, has been an evolving learning experience for us as an organization. We searched for tools and solutions, even trying to create some on our own, to keep our knowledge management under control, and it is safe to say we have found some solutions out there! I can provide some insights on the conglomerate of tools that are out there to help you manage your business, and your life! I am talking about Project Management Softwares. They are beautiful organizational tools that can help you keep your life a little more streamlined by creating tasks, reminders, and group discussions, all with a system of prioritization and reminders to keep things clear. While there are TONS of these types of softwares on the web (some free, some paid), I am going to focus on the four I am most familiar with: Asana, Basecamp, Trello, and Slack. Here at Flux we use Asana, so we are obviously biased in this direction! But as I mentioned earlier, as an organization we are just trying to not lose track of the data we generate everyday... As well as making it intuitively accessible to everyone who needs to reach it. In evaluation, when faced with diverse clients and varying projects, oftentimes you have to rely on different softwares or systems to keep things under control. So, we utilize Asana as our internal guiding beacon, that helps us keep all our other systems and projects on track! While each program is unique, it is really a personal preference as to which works best for you and your company. I highly recommend trial and error test periods with a small team/project just to see how it works for your needs! This program is my personal favorite (that I’ve tried so far) and is what we use here at Flux! It is a project management app that covers communication, task management, and various tools. 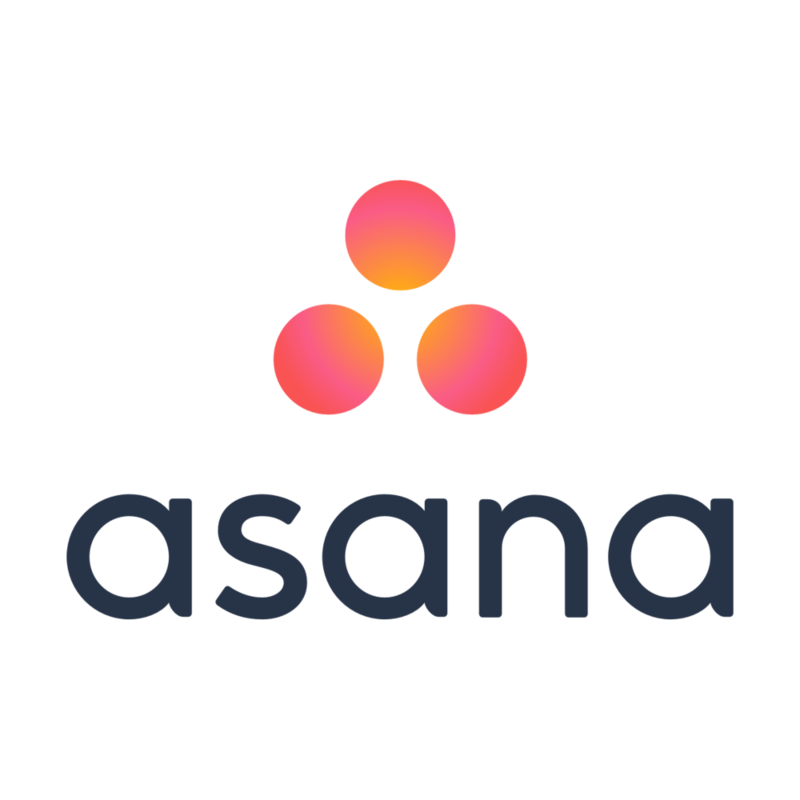 Asana has a fantastic FREE membership if your team does not surpass 15 members, and at the highest level offers a customizable enterprise package. First off, Basecamp is based on active projects, and varies from 10 active projects at $20 per month to an unlimited annual package at $3,000 per year. So it's not free, and not even that cheap. Just sayin'. Set-up with Basecamp is quick and easy. Because of how simple the tool is, it is best suited for project management alone. It lacks a bit of the communication and collaboration aspects that the other apps have, but it has the ability to be integrated with communication tools such as Slack. Further integrations are LessAccounting, TeamGantt, cloudHQ, and SupportBee. I have a more research-based relationship with Trello, as it seemed to be a big competitor when trying to choose a project management software. Basically, it is a project management tool that helps keep track of projects, assignments, their status, and who is responsible. They really sell themselves on being super simple, usable and flexible. In Trello, you create “cards” which you can then organize into lists and categories. From there, they can be assigned due dates, given to team members, and commented on or subscribed to. Also, through Trello you get the benefit of integrations with Ganttify, Zapier, Marketo, and SupportBee. Trello has a basic free package, a business package which runs $10 per user per month, and a customizable package. The biggest difference with Slack as compared to the rest of the tools listed above, is that it was created more for communication and chatting within teams and projects. It does not have any project management tools of its own, but it boasts TONS of integrations, including the three project management apps listed above. So, you can experiment with app combinations that will best work for your organization. The free package on Slack is rather limited, but could work well for small teams. The options for paid plans are relatively affordable and are based on the size of your organization! Project management apps are pivotal to our work in evaluation, because with many different clients and projects going on at once it is key to remain efficient and effective in our work. These tools help keep us organized in all aspects of our work, both internal and external! When time is of the essence, as it is in evaluation, it is important to pick a software and plan that give enough benefits to your team’s productivity that outweigh the cost of the plan. If your team is going to have to struggle through a free plan that ends up taking more time to navigate, then you may receive a higher return on your investment with an upgrade. Good luck and happy knowledge management! Feel free to contact us with questions, comments, or concerns by commenting on this post or emailing me at katherine@fluxrme.com! y legs were stiff. A disembodied voice droned on in the background, something about customer relations management. My fingers tapped a familiar rhythm on the cold glass table. I was tired, bored, and I'd lost the track of the conversation 5 minutes ago. Suddenly, I had an idea. "How about we start these meetings off with something a little more interesting..."